And I don’t know if it was that they exactly matched what I was wearing and I needed some jewelry to go with it, or they were just so shiny or what it was, but I knew I had to have them. When I put them together I loved the effect. Shiny and bright with an aged, neutral look. 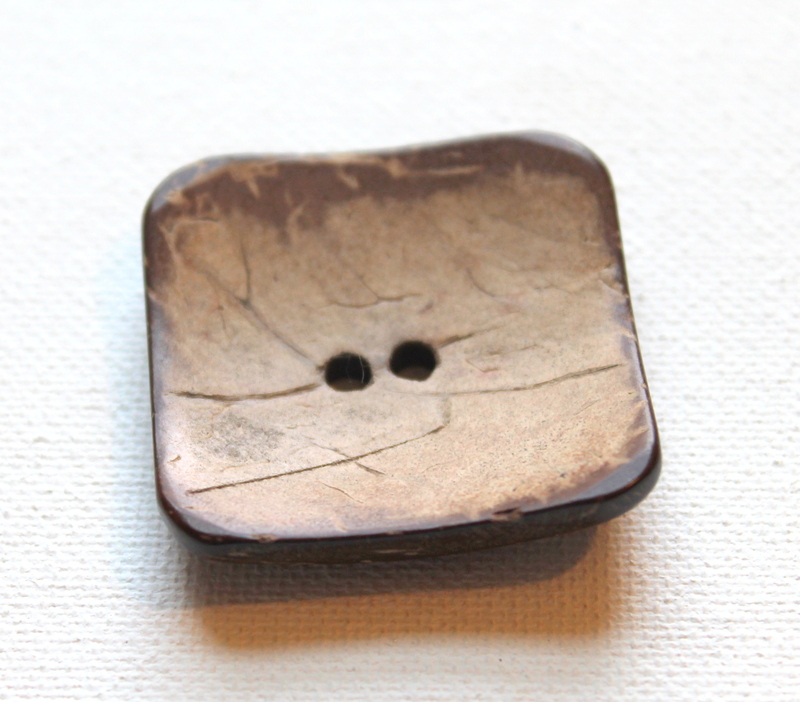 A big statement or accent button. Again, I got it at Joanne’s, but you can pick up a button anywhere you can get sewing supplies or from your own button stash. 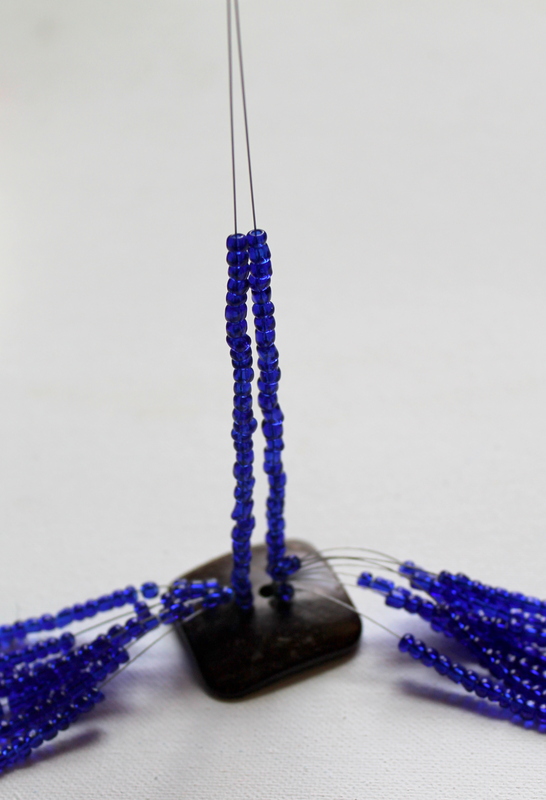 A big, gorgeous toggle clasp from Happy Mango Beads. 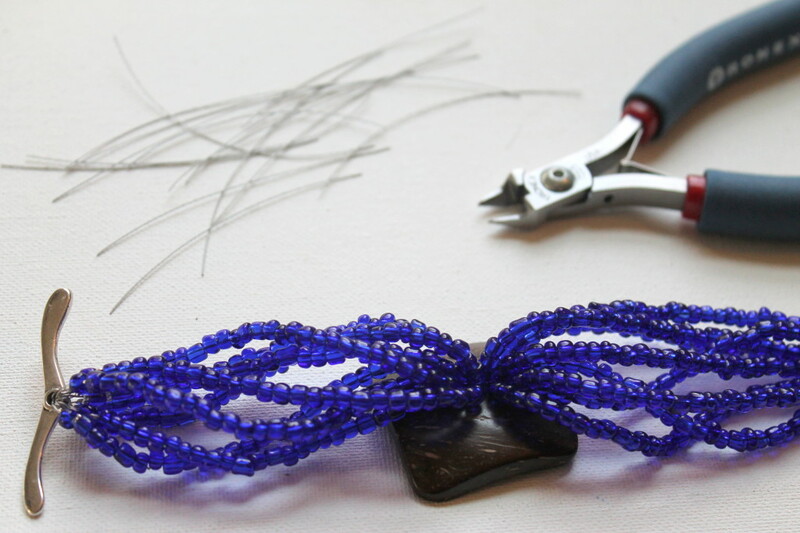 You will need a nice big toggle clasp or alternatively you could use a lobster clasp with some chain or links on the other side. 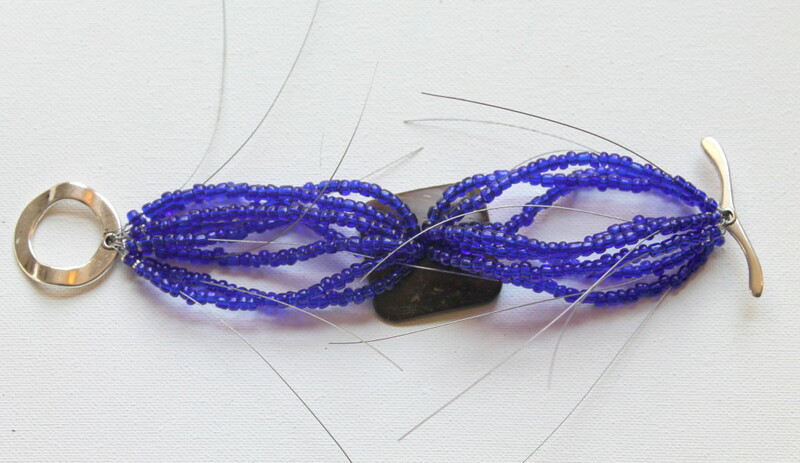 Crimp beads. I use two for each end of each strand, so I used 32 total! 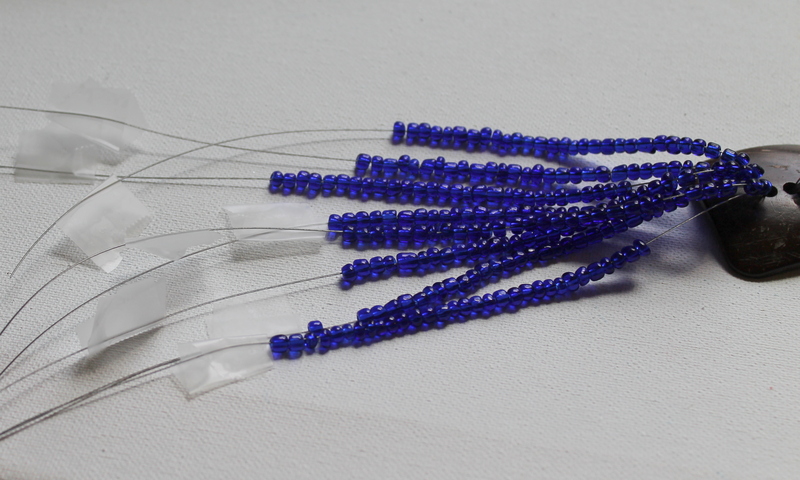 Crimp bead covers for each crimp bead. Optional. I actually didn’t use them this time because there were so many! Crimp tool or chain nose pliers. 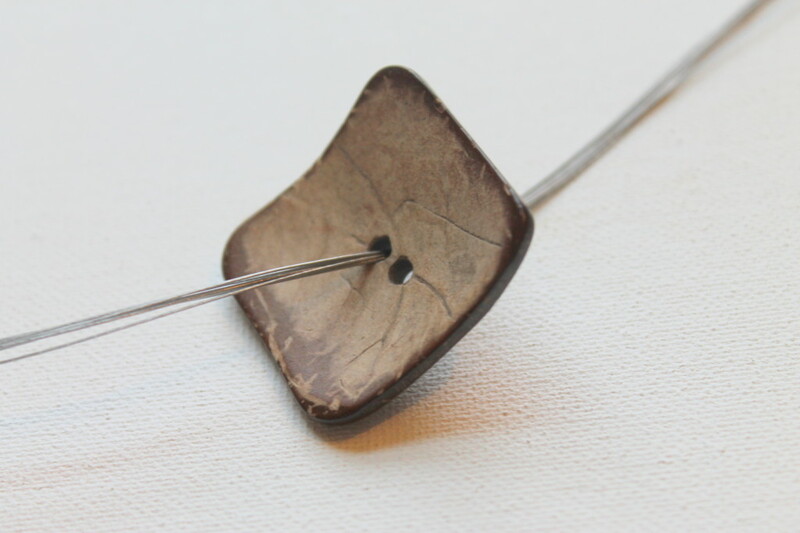 Pull all of the strands together through the button hole. Then pull them through the other hole and center them as seen in the photo. Start beading each strand. Remember, each strand has to go halfway around your wrist. Use scotch tape or a bead saver at the end of each strand to hold the beads on. 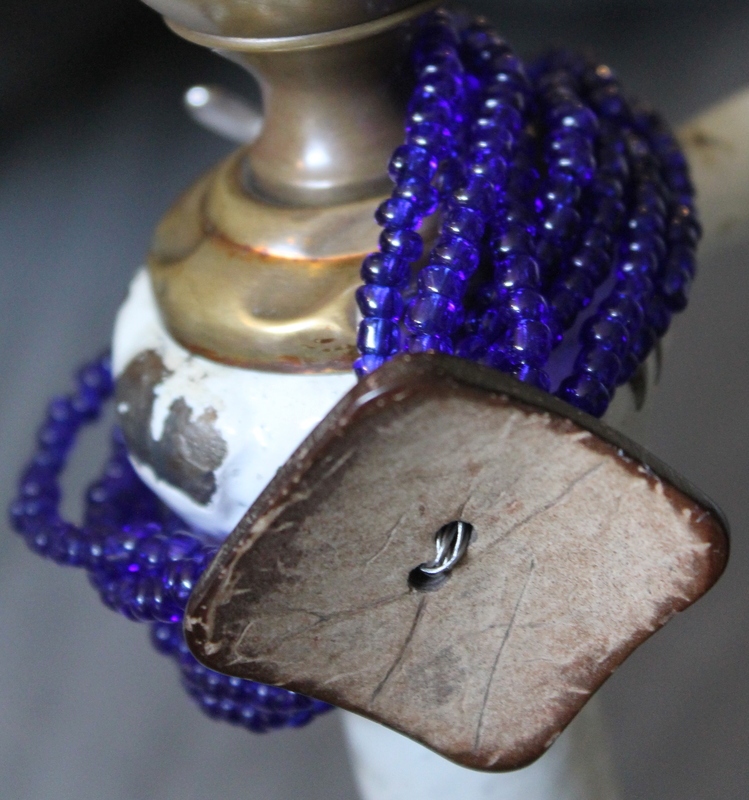 Otherwise, and trust me on this, you will bump it, move it or forget that the beads aren’t secure and have to start over again. 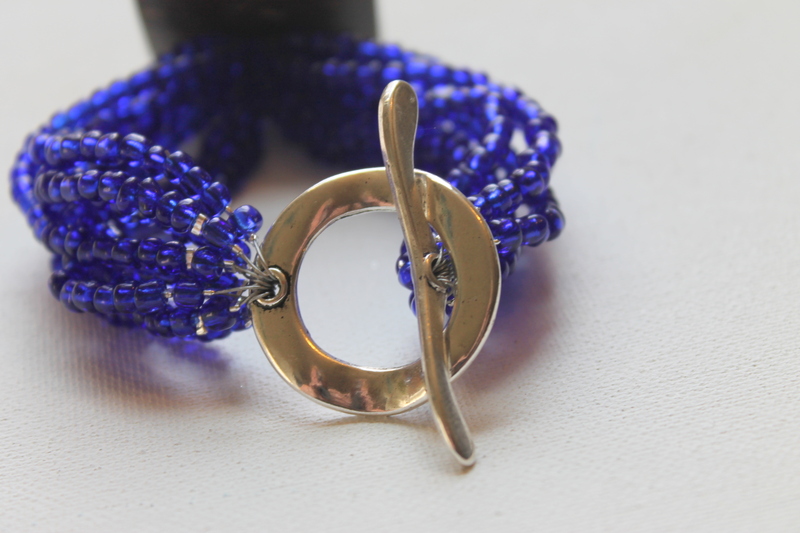 At this point we’re ready to start securing the bracelet to the clasp. If you don’t know how to use crimp beads, you can watch ECT TV Episode 58 for 2 different ways to crimp. Click here for that video. You have a couple of options at this step. you could secure the strands to something else which would then connect to the toggle. I considered making a bead link. 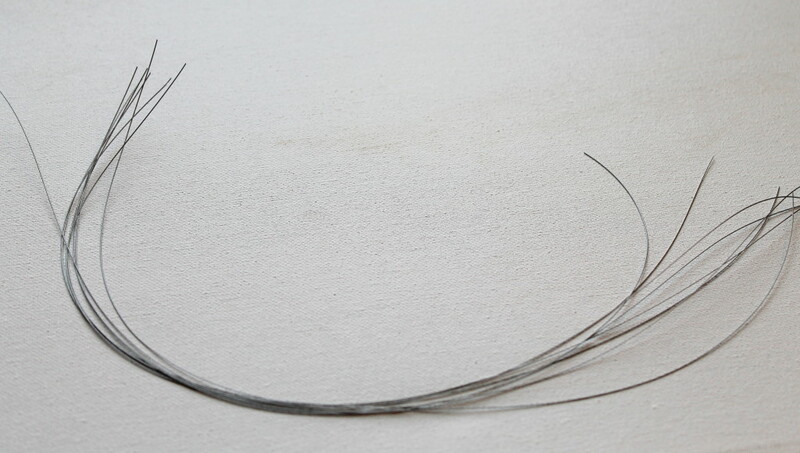 You could use a jump ring, but I highly suggest you use a soldered jump ring. Or you could use any kind of closed link. The big toggle clasp I used had plenty of room to put all the strands through, so I just connected right to the clasp. 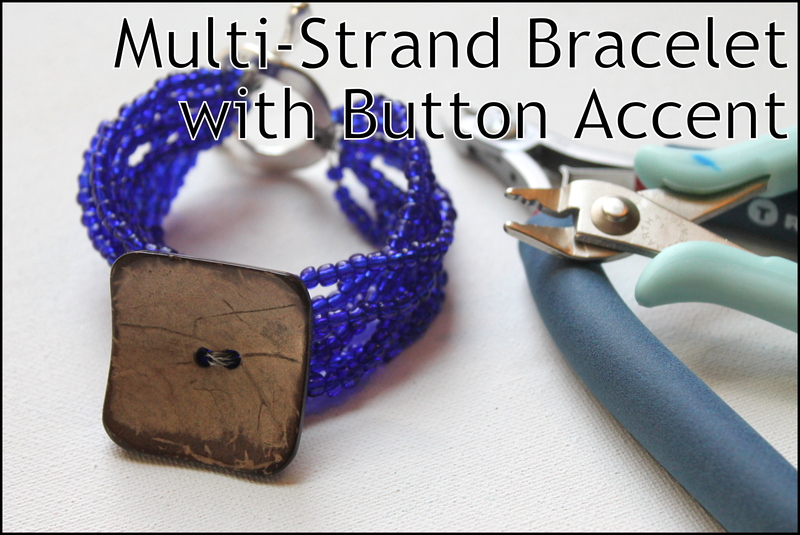 Make sure that you check the bracelet fit PLUS add a little more if you’re using this big toggle because you’ll have to get the bar through the loop and it’s long! When making this bracelet, it’s easy for the strands to get all mixed up and then you don’t know which end goes with which end. Just very gently pull on one end and you’ll see the other end move. 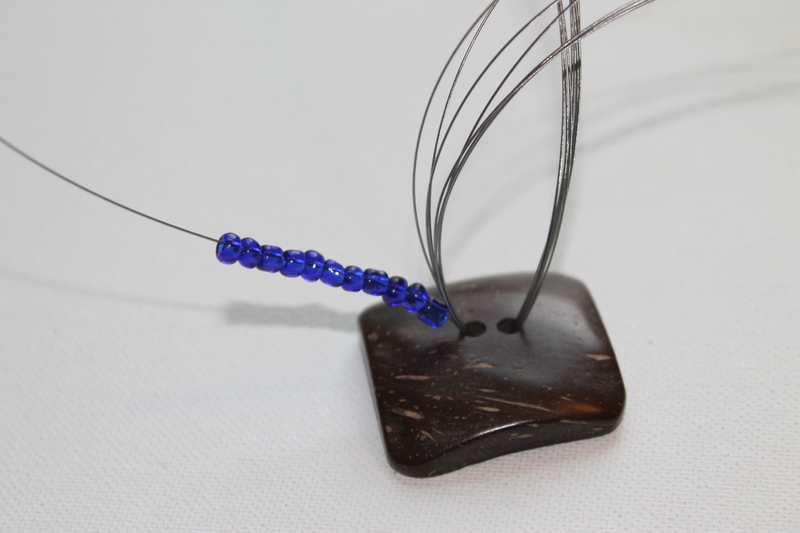 I would attach one full strand at a time to each end of the toggle as I went along. 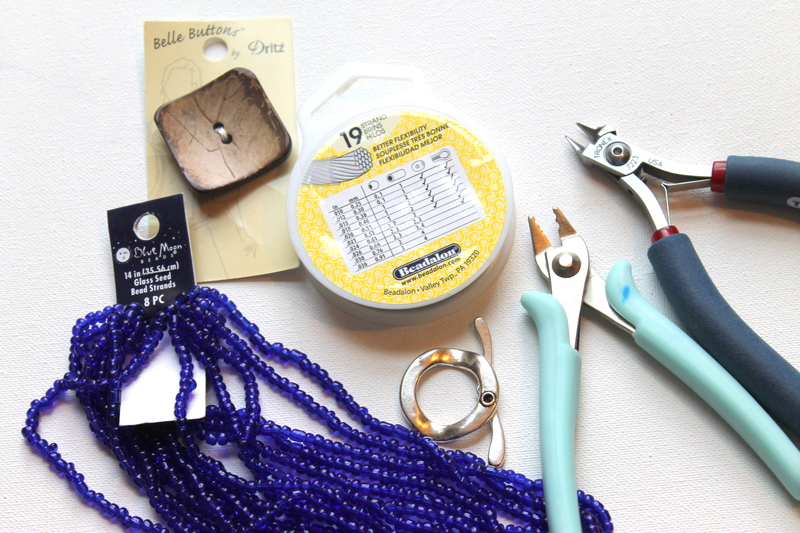 Close all the crimp beads and add crimp bead covers if you’re using them. Step #7 Pull gently on each strand to make sure it’s secure and then trim all the excess wire. 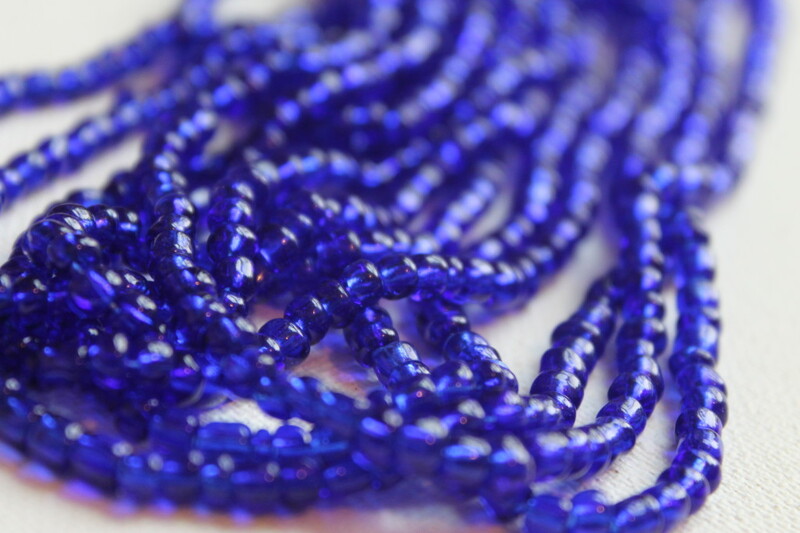 It is relatively simple, it’s just a little time consuming making so many strands of those little beads. It was completely worth it, though!! 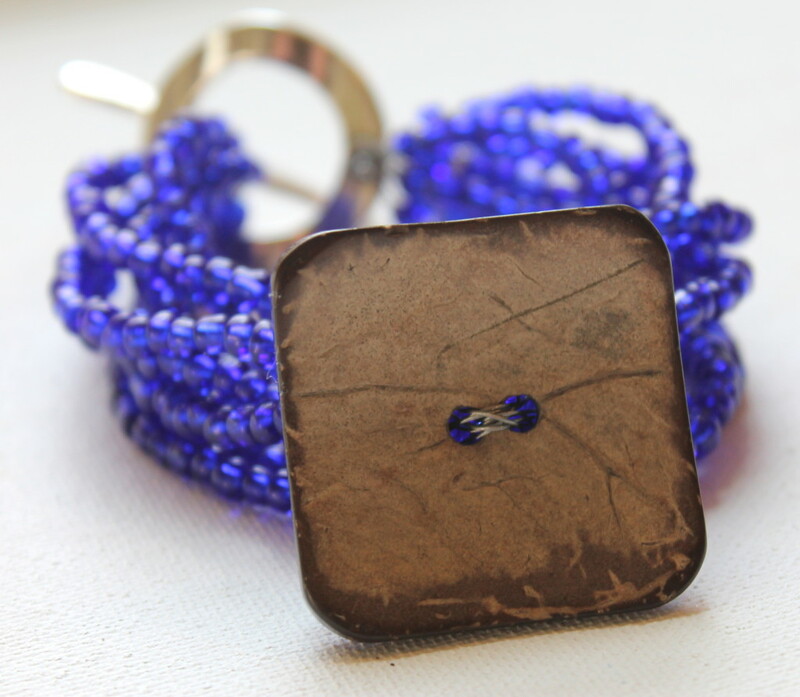 This entry was posted in How to Make Bracelets, Jewelry Tutorials and tagged blue, bracelet, button, diy, emerging creatively tutorials, how to make a bracelet, how to make a multi-strand bracelet, how to make jewelry, instructions, kimberlie Kohler, multi-strand bracelet, pattern, tutorial by Kimberlie. Bookmark the permalink. I LOVE YOUR IDEA FOR THIS BRACELET. Since i have buttons that not only i have collected,found or purchased + some from my MOM I will have a great time choosing the right ones for this project. I am a jewelry maker (have an Etsy shop). Love the look of this. Have enough supplies to do dozens of these. Just a note though. I now always attach bracelets and necklace clasps with jump rings. 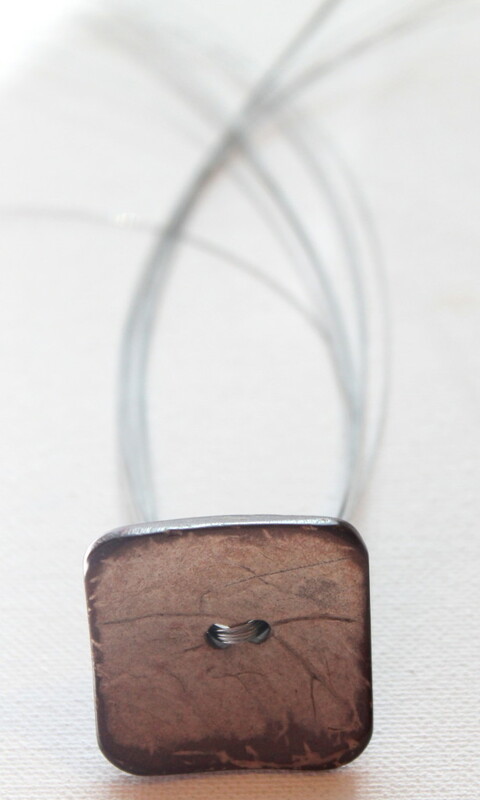 Clasps often break or discolor over time. 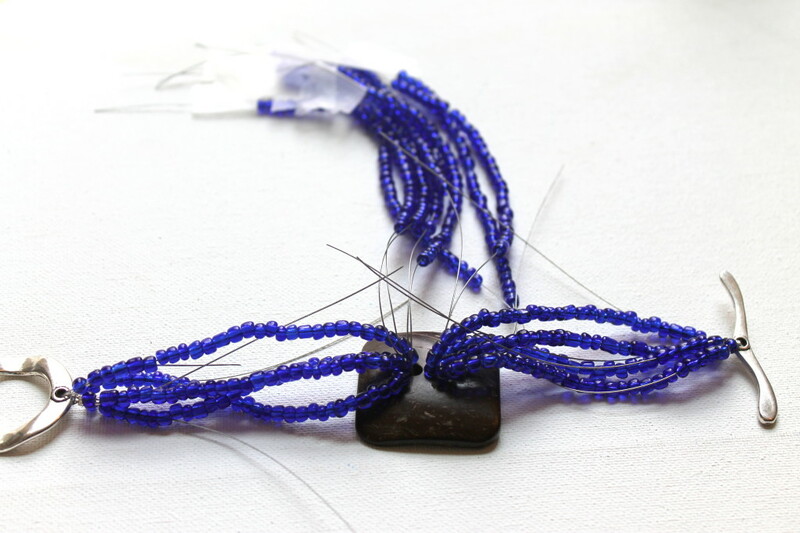 With all the work that goes into handcrafting beaded jewelry, it’s well worth making your piece so you can replace the clasp down the line. I certainly agree with you and thanks for your suggestion! I now like using wire guards and attaching them with jump rings like I did in this video tutorial here: http://kimberliekohler.com/8997/episode42/ I don’t like using jump rings without the wire guards, though, because I’m afraid that the wire could slip through, but with the wire guards there’s that extra piece that gives it a little more bulk.